There’s so much to do and explore in the Alberni Valley. One of our most striking features is the Alberni Inlet, a long narrow arm of the ocean that travels inland from Barkley Sound, excellent for both freshwater and saltwater fishing. Just north of Port Alberni is Stamp River, with incredible Chinook and steelhead fishing. In fact, in late summer, over half a million salmon spawn near the Stamp River Hatchery, making it a favourite for local black bears (and bear watching!). South of Port Alberni is China Creek Marina, with a private campground and boat launch. Sproat Lake is great for rainbow trout fishing, and features the famous Mars Water Bombers. Visit Alberni Valley official site. Over the past 20 years the Western Vancouver Island Industrial Heritage Society has restored a number of pieces of railway rolling stock that operated in the Alberni Valley. These include the 2-Spot, a 1912 Shay logging locomotive, the 1928 Westminster Iron Works "Buda" a gas powered switching engine and the 1929 Baldwin 2-8-2T, the "No.7" which pulls the train to the McLean Mill. The Society was originally formed to restore the Shay logging locomotive "2 - Spot" in 1980. They then turned their attention to the steam donkey from the McLean Mill. The Society has operated a steam and diesel train ride along the industrial waterfront in the City since 1984 operating out of the restored 1912 CPR Station at Argyle and Kingsway. They also took the 2-Spot and the steam donkey to "Steam Expo" in Vancouver in 1986. They love to pull wrenches and tell stories and maybe you'll meet some of them on the train. 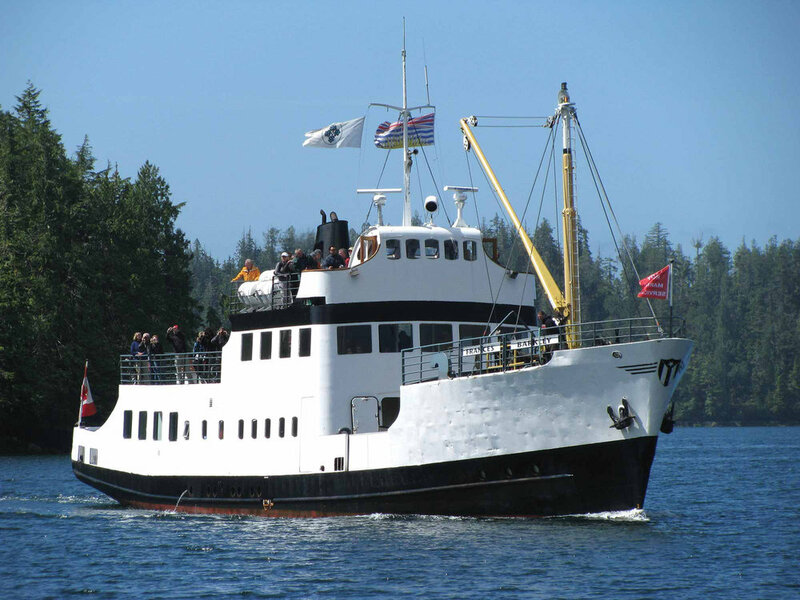 One of the neatest experiences to be had on Vancouver Island has been on offer out of Port Alberni for more than half a century, thanks to Lady Rose Marine Services and the company’s venerable packet freighters the MV Lady Rose and the MV Frances Barkley. The two small freighters have plied the waters of the Alberni Inlet, Barkley Sound and the Broken Group Islands since 1960, hauling freight and passengers to remote settlements and villages. The Martin Mars Bomber is a large, four-engined cargo seaplane originally designed and built in limited numbers for the U.S. Navy during the World War II era. It was the largest flying boat to enter production, although only seven were built. Four of the surviving aircraft were later converted for civilian use to as bombers for fighting forest fires.. One of the aircraft still remains in limited service based out of Sproat Lake, minutes from Sproat lake Landing. The aircraft can carry 7,200 U.S. gallons (27,276 litres) of water and each drop can cover an area of up to 4 acres (1.6 hectares). The aircraft can also carry up to 600 U.S. gallons (2,270 litres) of foam concentrate for gelling the load drop. They are mainly used to fight fires along the coast of British Columbia and sometimes in the interior. On 10 May 2013, the B.C. provincial government announced that the Hawaii Mars would no longer be placed on contract after the 2013 season, due to not having been used to fight any B.C. fires for two years and the operation of newer and more versatile aircraft by the Coulson group including a Herculeus aircraft converted to firefighting use. . Surrounded by mountains, lakes, rivers and wildlife, our 170-acre farm hosts Canada's first grass fed Water Buffalo seasonal dairy. We rotationally graze our herd throughout the spring and summer helping the animals produce the best quality milk and meat. We are committed to sustainable farm practices in all aspects. Russell, Jennifer and Edward Dyson (the owners) are proud to produce healthy foods and animals. Maintaining the environment enables future generations to continue and as a farm we are committed to protecting it. 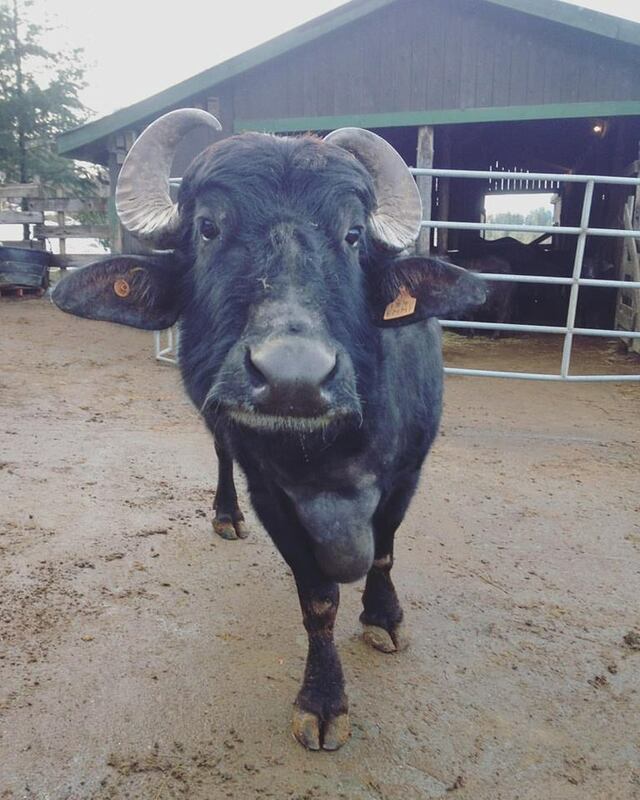 Our Water Buffalo are all handled with love attention and interaction with people. To understand more about what grass-fed means and the rigour to manage our animals have a look at this site Animal Welfare Approved they have excellent standards that we adhere to. Come down to the farm, explore the market and even pet the water buffalo.